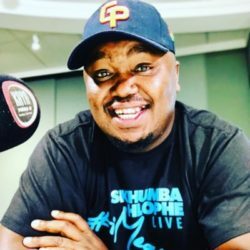 Skhumba Hlophe is a popular South African comedian, radio presenter, and actor. He was born on the 31st of August. Hlope currently has two children but he lost his first born son at only nine weeks. He also worked at the SAPS as a personnel officer before becoming a comedian. He failed four times at school before matriculating when he was 22 years old. As an actor, he has featured in the movie an actor, known as Taxi Ride. He was born on the 31st of August. The year of his birth is what we do not yet know. He is also popular for his role as Dlamini in the feature film Taxi Ride and its spin-off series of the same name.